"On Christmas morning, when we woke up, before we could open any presents we would drive an hour and a half to some stranger's home and spend the morning having Christmas with these people, bringing presents," Clooney said, speaking at Gaylord Opryland Resort & Convention Center Tuesday at a Workhuman convention focused on workplace culture. "The understanding was that we are all in this together. It taught me so much. I hated it, by the way, at the time." Clooney described his childhood in Kentucky, in a town of 1,100 people, where he mowed lawns, wore clothes his mother made him and played on a basketball team often booked for homecoming games to ensure another team's victory. The kids are going to be so sick of that joke when they are older. I can see the eye rolling and head shaking now lol. It reminds me of men who stare at goats. annemarie wrote: The kids are going to be so sick of that joke when they are older. I can see the eye rolling and head shaking now lol. We hear this story every year. It was my cousin's 54th birthday. So of course we were all , but on the other hand it's nice to hear this about your very first day, from people who at a certain point will all be gone, so there's nobody left to tell you about it.. There are, of course, similar stories about ll of us being born. Between the mama, mama, mama story and the stories he has told about the amount of poop these two ‘knuckleheads’ have produced Ella and Alexander are going to be rolling their eyes and doing one of these ... at Dad for years to come! His comments at Workhuman just reinforce my opinion of George’s values. His head is screwed on right and he knows his priorities and what’s important to a meaningful life. It comes out that way, when it's rooted to the core of your who you are. It's one of the reasons I love him without measure. It a shame when others try to take advantage of people who extend a kind heart. I want share something that absolutely amazed me. First I rarely read through article like this one. From my core I was guided me to read this article. 12 years ago I began my journey with George Clooney. I was guided to learn of George Clooney introspectively. I've learned a lot about him, however I wondered why my connection with him was unmovable. When I read through the article, I learned how deeply rooted my connection is to him. Around the time Bush ran, I did tons of writing and challenged a lot people in powerful position. Those writings were distributed and many including George Clooney were privy to them. After reading this article it was the first I understood how deeply rooted my connection is and why the 12 year connection has endured with George Clooney. I have no connection to Amal, however as I've stated on many occasions I don't believe a word that comes out of her mouth. I know people will challenge my thoughts on Amal, in advance I extend my hand to agree to disagree. true, and universally acknowledged, and when a lot of what that person says happens to be also the same knowledge, and beliefs as one George Clooney. I really hope you are right and I will here from George Clooney and/or Stan. I stand ready to hear, receive, and welcome the truth. Yes Pan George and Amal are so alike they want to help others . That is why George has said they are a good team and have been since the day they met. “Challenge power while protecting the powerless”. A case in point. My first thought is Trump’s despicable policy on immigration and how the rule of law administered through judges and the courts must protect these migrants while challenging Trump’s abuse of that law. annemarie wrote: Yes Pan George and Amal are so alike they want to help others . That is why George has said they are a good team and have been since the day they met. Agree annemarie. The romantic side of me says possibly it was fate that George met and fell in love with a woman whose name means hope. He has always called himself an optimist. Donnamarie,I believe it was fate they were meant to be . Things happen when they are supposed to and can't be rushed. That's why now even George knows saying he would never marry and have kids was silly. annemarie wrote: Donnamarie,I believe it was fate they were meant to be . Things happen when they are supposed to and can't be rushed. Your talking about Amal Clooney and her husband Actor George Clooney? Why do you do this? Seriously. Is it a misguided attempt to extend the conversation, or deliberately adversarial? Either way, it's irritating. There is no freaking way you don't know who this conversation is about. And the "Amal Clooney and her husband George Clooney" thing is tiresome as well. Please, I beg of you, stop wasting posts on this type of inane question and commentary. Maybe the habit goes over well in your circle of non-internet associates, but here it's an aggravation. Playing well with others requires a certain amount of self-awareness and appropriate restraint. I don't think I'm the only one here who wishes you would exercise some. I'm not going to stop asking the question. I'm not sure who it's about, that's why I asked the question. I encourage you to block me on your end, therefore you will not have to read any post of mine you find irritating. Just to be clear it's not my intent to irritate you. Ladybug, you know very well who I was talking about you do this all the time. This site is about George Clooney so who else would I be talking about. You commented you don't believe Amal but have some kinda connection with George , Yet you don't know who I'm talking about. annemarie wrote: Ladybug, you know very well who I was talking about you do this all the time. This site is about George Clooney so who else would I be talking about. To be honest Annemarie, often times I'm not sure if you are referring to Amal Clooney and her husband Actor George Clooney. What I understand to be truth, often times don't match your comments, that's why I ask. I try always to line my thoughts up with what I know to be truth and what I understand to be truth. I think you and I have a totally different understanding of Amal Clooney and her husband Actor George Clooney's marriage relationship. I will not be offended if you don't answer my questions. If this is some sort of game you like to play your gonna play alone. I'm not going to entertain the question when you know very well what site your on and who we talk about. I love that the kids call him papa. You may not care for it, but George is married to Amal and you will read all about lots of aspects of their lives on here. When he speaks about her and she him we will likely write about it on here. You may not like it when they're both doing wonderful things to help make this a better world, or have a joint interview or support each other on a new initiative, and we write about it on here, but that's how it is. I have absolutely no problem with "George" and "Amal's" marriage. And I admire you want to share their relationship here. I'm sure "George" and "Amal" are doing wonderful things and I'm sure they work together and support each other. PAN - I made an entire thread of pictures dedicated to Amal Clooney and her husband Actor George Clooney. Enough, ladybug. We all know you like to pretend that the George Clooney you believe you have a connection with isn't married to Amal, but that's your fantasy. Keep it in your head where it belongs, not on this site. We're all talking about George Clooney and his wife Amal in this and other threads. If you're unable to understand simple English, I suggest you spend less time on this site and more in remedial English classes. Admin wrote: Enough, ladybug. We all know you like to pretend that the George Clooney you believe you have a connection with isn't married to Amal, but that's your fantasy. Keep it in your head where it belongs, not on this site. Admin, the connection I have with George Clooney is what I understand to be truth. I do believe Amal Clooney and her husband Actor George Clooney are in a marriage relationship. I state that over and over here, as you see I made an entire thread about the two of them. However, you are very right, often times I believe post made here are NOT referring to Amal Clooney and her husband Actor George Clooney and that is why I ask. Thank you for clearing up every "Amal" reference is referring to Amal Clooney and every "George" reference made on Clooney's Open House is referring to the George Clooney I believe I'm connected to. Unfortunately Admin, we live in a world that operates with the understanding deception is a tool used with the best "intentions" as an effort to bring about good. This twisted mindset is intertwined as a World View. I believe that to be the case with Amal Clooney and her husband Actor George Clooney. It is my understanding their marriage relationship was made with the intent to highlight human rights causes on a greater scale. I could be wrong, however this is what I understand to be TRUTH. While on paper that may seem to be great, ultimately DECEPTION can lead to a mis-guided world view, hurt feelings, and an awkward transition to reveal the truth. To be fair, to believe I live in an intangible Biblical/Spiritual experience with George Clooney and that understanding NOT be true could be unhealthy. In my case I've grown in love to love George Clooney without measure. What George Clooney choose to do with his life is his own business, his marriage relationship to Amal Clooney has absolutely no impact on the relationship I believe I share with him or my tangible life. If you prefer I not post on Clooney's Open House, let me know and I will stop. I don't believe that anyone is trying to drive you away (understanding that I only speak for myself). It's the repeated and totally unnecessary questioning of "who" we're talking about that we want to end. So let's just stipulate that references here on COH to "Amal," "George," and/or "George and Amal" and "Amal and George" are regarding George Clooney the actor/director/producer/humanitarian/philanthropist/activist/tequila magnate and all-around good guy, to whom this site is dedicated, and his wife Amal. I don't believe they got married just to highlight human rights causes on a greater scale. Ladybug, George and Amal fell in love the same as everyone else does. would find a way together to bring about change. Way2Old4Dis wrote: I don't believe that anyone is trying to drive you away (understanding that I only speak for myself). It's the repeated and totally unnecessary questioning of "who" we're talking about that we want to end. I want to put this all together so I can have a healthy mind rooted to the truth. In Truth: every "Amal" reference is referring to Amal Clooney, the mother of George Clooney's biological children and every "George" is referring to George Clooney her husband the actor/director/producer/humanitarian/philanthropist/activist/tequila magnate and all-around good guy, to whom this site is dedicated. Way2 - is this an accurate view? annemarie wrote: I don't believe they got married just to highlight human rights causes on a greater scale. I have no doubt George and Amal fell in love. No one would argue the most beautiful outcome is the two beautiful children Amal Clooney gave birth to. Ladybug, a stipulation of the facts of reality is not a view. And I have no idea or comment on what you choose to root your mind to. My message was clear. I'm not interested in chasing a semantic tail. Way2Old4Dis wrote: Ladybug, a stipulation of the facts of reality is not a view. And I have no idea or comment on what you choose to root your mind to. This is not a tail of sematics, I'm asking do I have the "facts" accurate. Every "Amal" reference is referring to Amal Clooney, the mother of George Clooney's biological children and every "George" is referring to her husband George Clooney the actor/director/producer/humanitarian/philanthropist/activist/tequila magnate and all-around good guy, to whom this site is dedicated. Ladybug, you have got to be kidding. Who else would we be talking about on a George Clooney fan site. Ladybug, you're a bright spark so help me out here. Why on earth do you have to put George and Amal's names in inverted commas? We know who they are, you know who they are. Oh and by the way did you ever watch the Colbert video I posted in order for you to remember some of Amal's cases that have put her in danger? I notice you responded just two minutes after I posted it, so I assume not. annemarie wrote: Ladybug, you have got to be kidding. Who else would we be talking about on a George Clooney fan site. Annemarie, we talk about a lot of people on this site. I'm sure there is more than one couple in world with the names Amal and George. I'm trying to make sure I have the truth. "Amal" references on Clooney's Open House refers to Amal Clooney, the mother of George Clooney's biological children and "George" is referring to her husband George Clooney the actor/director /producer /humanitarian /philanthropist /activist/tequila magnate and all-around good guy, to whom this site is dedicated. Pan is right ladybug you don't need me to answer or anyone else. You can answer your own question given all the things that have been said here and in the several other posts that the question has been asked and answered in. So now you tell us what the answer is. No. That's why I'm constantly asking for clarification. And I would have been surprised if anyone else answered the question with a "yes" or "no". Ladybug, if you don't believe we are talking About George and Amal Clooney on his fan site. The George you claim to have a connection too why are you even posting here? annemarie wrote: Ladybug, if you don't believe we are talking About George and Amal Clooney on his fan site. I ignore a lot of your post. I love the pictures; even the ones over the years with his lady loves. 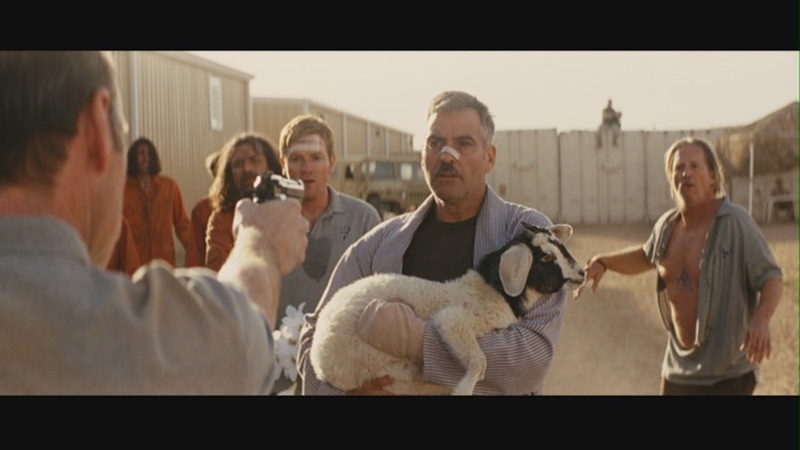 I love following George Clooney's involvement in the movie making process. Sometimes I find out where he's located, he moves around a lot. I admire his heart to make life better across the globe. Everyone, we are being played here. This is a waste of time. I'm warning you, enough with this nonsense. If you don't have the intelligence to figure out from context on a George Clooney website that the George and Amal Clooney being referred to in conversation are George and Amal Clooney, then you can leave. I don't expect another response from you on this matter. We can finally agree on something. I don't expect a direct response to my question. If you want to block me from the website for asking the question I will understand. I'm from Kentucky, you know," he said to laughter, adding. "English was the foreign language." Ouch!! Bet that went over big back home with family and friends.